Holds up to 900 6 x 9 inch cards. Lid features full piano hinge. 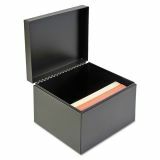 SteelMaster Index Card File w/Follow Block, Holds 900 6 x 9 Cards, Black - Card file offers secure and versatile storage for important information. 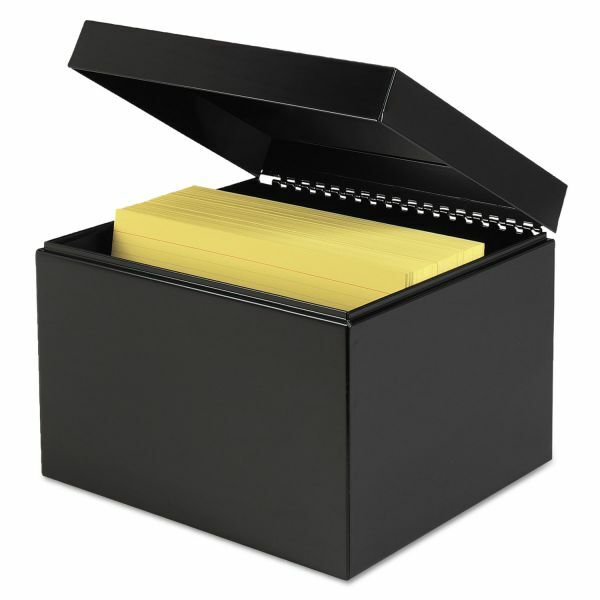 Place almost anywhere for convenient storage of index cards. Card file is made of heavy-gauge black steel and features a follower block and 8-1/2 depth. Index cards and guides are not included."